Radio Nfm is a South African community radio station based in Northern Cape.Radio Nfm listener means a lot, the station wants to present themselves as a station listeners should be happy of. They build a great unity between the listeners and themselves so that they may have a good communication between them and their listeners which will result in a more entertainment rich radio station. 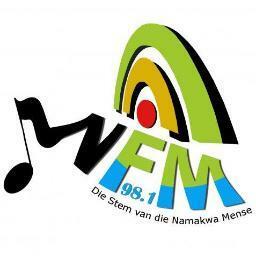 Radio Nfm has become a very popular radio station of South Africa. The preparation and research phases date back to 1996 since the concept of community radio was introduced to the people of Namaqualand by the then Independent Broadcasting Authority (IBA) and it became a registered organisation in 2003.